We are working to provide visitors access to our amazing resources. You may have visited or heard of the China Ranch Date Farm, located just outside of Tecopa. Sited in the bottomlands of a canyon just above where Willow Creek meets the Amargosa River, this date ranch is the northernmost in the country and worth a visit in its own right. Now, the Ranch is also an access point to explore the Wild and Scenic Amargosa River in some of its most scenic and interesting stretches. The Amargosa Conservancy and China Ranch, working together, applied for and received a River Parkways Grant to address the lack of established trails. The River Parkways Trail Grant Fund was created by the State of California to support the construction of trails and adjunct facilities along waterways in California so that citizens can have access to the unique and beautiful riparian areas in the state. Over the course of three winter seasons, the Amargosa Conservancy worked with conservation crews and volunteers to construct and sign the trail. The trail was completed in 2017. 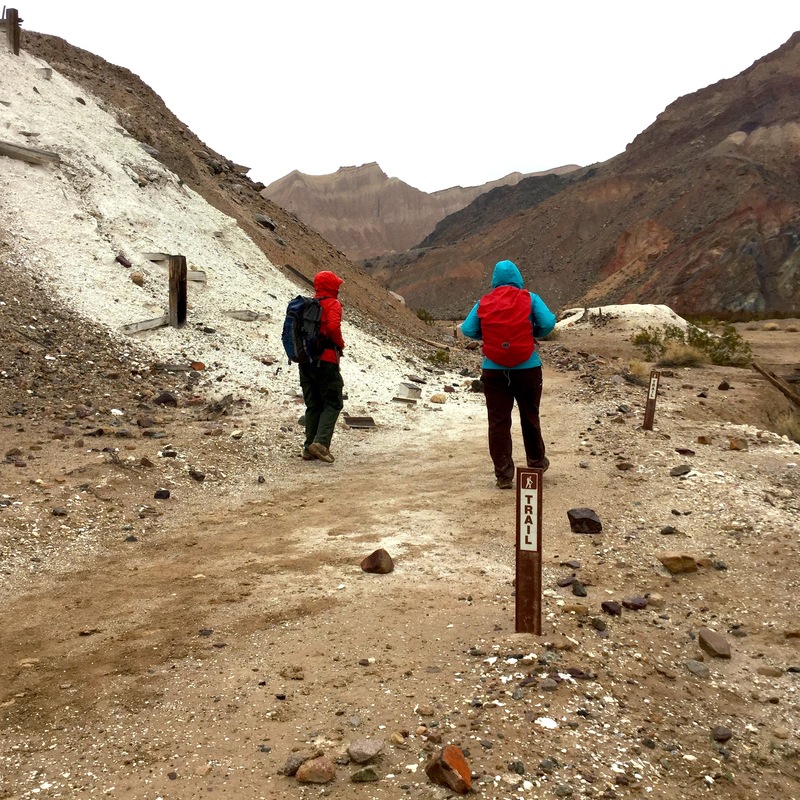 Hiking along Willow Creek from China Ranch to where it merges with the Amargosa River provides an opportunity for visitors to see not only the riparian habitat associated with a desert water source, but also the diverse geology and scenic beauty of the Amargosa Canyon area. The newly built trail network begins at a picnic area with facilities at the trailhead and almost immediate access to Willow Creek. We made our best effort to construct the trailhead area and the first segment of trail that parallels Willow Creek ADA accessible. We hope that all visitors can relax in the shade of the mesquite bosque and feel the wind through the willows while watching and listening to the water trickling past. 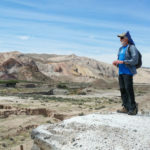 The trail next continues downstream to the confluence of Willow Creek and the Amargosa River, giving hikers the ability to explore not only the natural beauty of the land, but also see evidence of the prehistoric and historic uses of the area. From the confluence area, the trail splits. Hikers can do a small loop here, or continue upstream on the river towards Tecopa – passing a waterfall and springs. Adventurous and experienced hikers may choose to cross the river and check out the slot canyon in the mud cliffs on the other side of the canyon. The trail is best visited in the spring (February – April) when wildflowers abound. Fall and winter are also pleasant times to visit, but only a few people will want to venture out in the summer. With temps easily hitting 120F, we don’t recommend this experience. The Amargosa Canyon is a great place to find migrating and resident birds, as well as mammals and rare plants. Sunrise and sunset highlight the varied structure of the canyon walls. 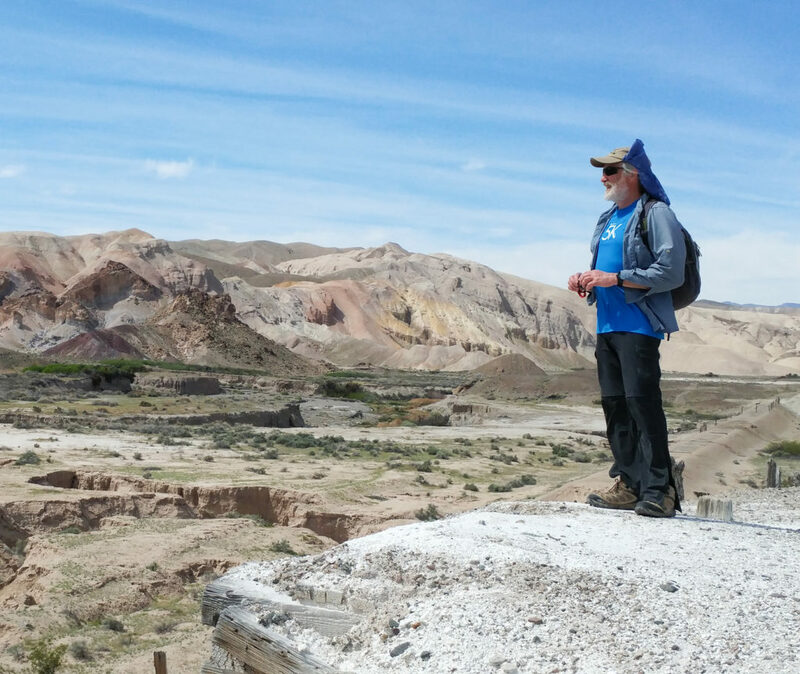 The Amargosa Canyon formed when ancient Lake Tecopa breached its natural dam and drained, forming this natural wonder. A part of the original Old Spanish Trail passed through the canyon, providing a spot of green and a drink of water along the trade route and mule trail from Sante Fe, New Mexico, to the Los Angeles Basin of Southern California. This route later became part of the Mormon Road – a wagon road from the Mormon settlements of Southern Utah to San Bernardino, California. In the first decade of 20th century the Tidewater and Tonopah Railroad (known as the T&T) was built through the canyon – running from Ludlow California on the San Pedro, Los Angeles and Salt Lake Railroad (later the Union Pacific RR) to Tonopah, Nevada. Building the trail took several winter seasons of cleanup, debris removal, and construction. The project also involved removing several acres of invasive Tamarisk (Tamarix ramississima.) With help from our partners at the Nevada Conservation Corps (NCC), Student Conservation Association (SCA), and many, many volunteer hours from amazing people, we were able to complete the trail in late 2017. Crews work to remove tamarisk along the Amargosa River on a cloudy winter day. Crew members work to move materials to the trail to even surfaces and prevent erosion.